Welcome to Murray’s Carbs. Once a secret known only to a lucky few, Murray is now sharing his carburation knowledge with motorcycle enthusiasts and customizers around the globe. Every upgrade on this site has been subject to rigorous scientific testing and benchmarking. These packages are more than just aftermarket carbs. 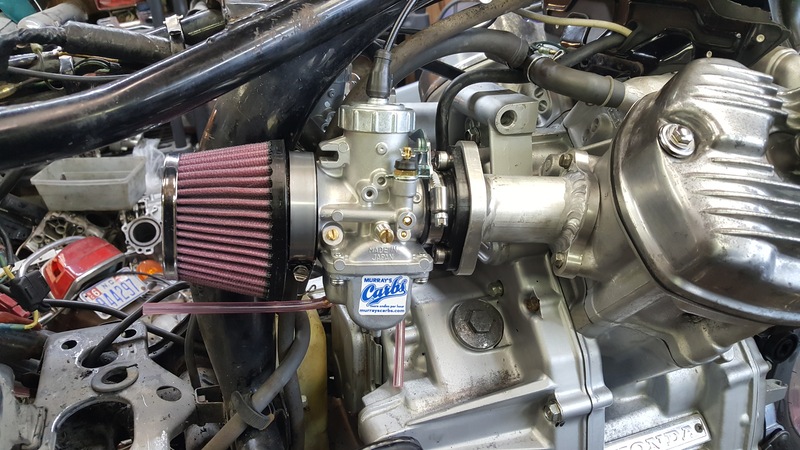 Each intake is precisely engineered and aftermarket carbs are modified for each specific application. Further, each set is hand assembled and tested on a running engine to ensure quality. If you have an old Japanese motorcycle, you need “more smiles per hour”! Not ready to take our word for it? Read a few of the many testimonials about our products taken from motorcycle forums, such as cx500forum.com.